Although people don’t think that Reading Comprehension and Logic Games have much to do with each other, the truth is that they have something very important in common. The most obvious thing that the sections have in common is their structure. Both the sections have four main units. The Game section has four games and the Reading Comprehension section has four passages. And the number of questions associated with each game or passage is similar too. That similar structure creates another similarity: timing. When studying and improving your time efficiency on the test, you’ll likely focus on Logic Games. This is the section most students worry about the most. Many will relentlessly practice LG, stretching the per game average of 8 minutes and 45 seconds as far as it can go, and completely overlook Reading Comp. But, timing on Reading Comp is just as important and as equally troublesome to get through. Most test takers have trouble completing the section but act as if there’s nothing they can do about it. You can really benefit from approaching the timing on that section more like you would for LG. The goal is to be able to move through passages faster and answer the questions with more confidence. A Reading Comp passage presents you with a set of information. Your job is to identify what’s there, connect the dots, and make inferences. That’s no different than what you do in the Games section, it just looks different! In Logic Games, unless it’s a Limited Solution Set game, you’d never write out every possible template for the game. It would take way too long and is inefficient. Overthinking a Reading Comp passage is the same as writing out every template in Logic Games. Don’t spend too much time underlining, circling, and boxing every other word! Taking notes in the margin isn’t a bad idea, but don’t overdo it. By trying to learn everything about the passage, you’re essentially prephrasing for questions they’ll never ask. Not only is it inefficient, it’s impossible! Instead, pace your progress through a passage like you do through a game. In a game, your objective is to accurately document the scenario and rules in a way that is helpful and easy to understand. From there, you can determine the Not Laws and hopefully make some inferences. You don’t have to get all inferences up front to do well. If you finish that up in 2-3 minutes and get to the questions, you’ll have a good bit of time to work through them and learn more about the game as you go. In Reading Comp, this translates to reading the passage normally, recognizing the main items of interest in each paragraph, taking note of the passage’s structure, and getting to the questions. Aim to accomplish this in about 3 minutes. This puts you in a great position to finish the passage within 8 minutes and 45 seconds. Think about Global Reference questions (e.g., Main Point, Author’s Perspective, Author’s Purpose, Passage Organization) like you think of Global questions in the games section. You should be prepared to answer those from noticing the main items of interest in each paragraph. For the Concept Reference, Local Reference, and other detail-oriented questions, treat them like Local Questions in the Games section. In Games, you would jot down the local rule, check for the implications of that rule, come up with a prephrase, and attack. In Reading Comp, use your understanding of the passage structure and go back to the passage. Find what the question references, quickly review that information, develop a prephrase, and attack the answer choices. Some of you might feel like that approach won’t work. But think about it. How deep can LSAC expect you to go in just a couple of minutes? Passages are designed to see if you can quickly recognize relevant issues, make connections, and answer questions with complicated wording. 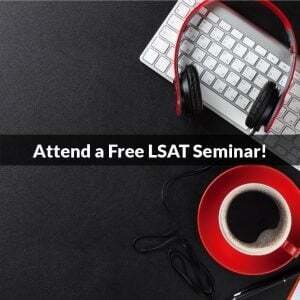 You will be doing the same thing in law school and on the bar exam. Same basic concept, though the question stimuli are of varying lengths. Most are the length of Logical Reasoning stimuli while some are closer to the length of Reading Comp passages. 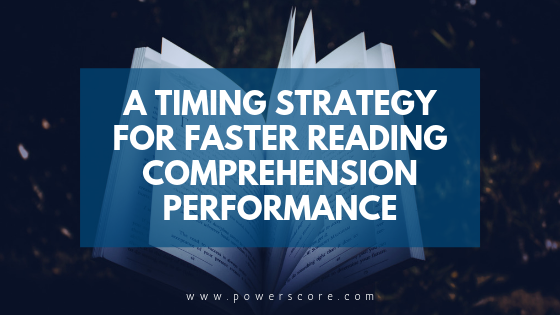 If you’re having trouble with your timing on Reading Comp, give this timing strategy a shot. Determine your normal reading speed by timing yourself to see how long it takes you to read the passage, word-for-word, without rushing but without diagram either. Take the average to get your reading pace. Add 30 seconds to permit for some diagramming if you choose to do so, and that’s your time. That shows you how long you should spend on reading a passage, on average, before you get to the questions. Obviously, some passages are longer than others, but that will be your average speed. Give it a shot! It might just get you those few extra points you’re looking for. Need a timer to help you out? We’ve got you covered. What should we do if the average is 5 minutes including the 30 seconds? Hi, Copernic! I take your comment to mean that when you simply read through the passage at your normal rate of speed, then add 30 seconds, you’re at 5 minutes 30 seconds. That time puts you a bit behind the curve unless you are very fast going through the questions. 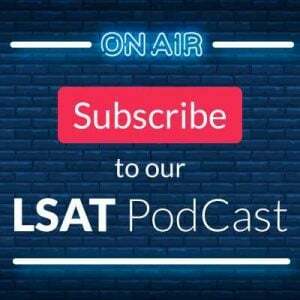 Assuming that you aren’t flying through the questions, then you’ll need to adjust your strategy, since it is unlikely that you’ll be able to significantly increase your speed (especially if you are taking the September administration). Rather than try to answer all four passages, focus on getting every question correct on the three passages. This will give you a little more than 11 minutes and 30 seconds per passage (minus score sheet time). 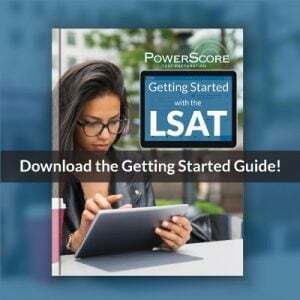 If you’re accuracy is good on the questions you actually get to, then you can use Dave’s advanced guessing strategy (http://blog.powerscore.com/lsat/bid/326362/Advanced-LSAT-Guessing-Strate…) to have a better than 1 in 5 shot at getting the rest of the answers correct.